FUSE will take over the car park of London’s Tobacco Dock at the Cuttin Headz party on Saturday, October 6th. 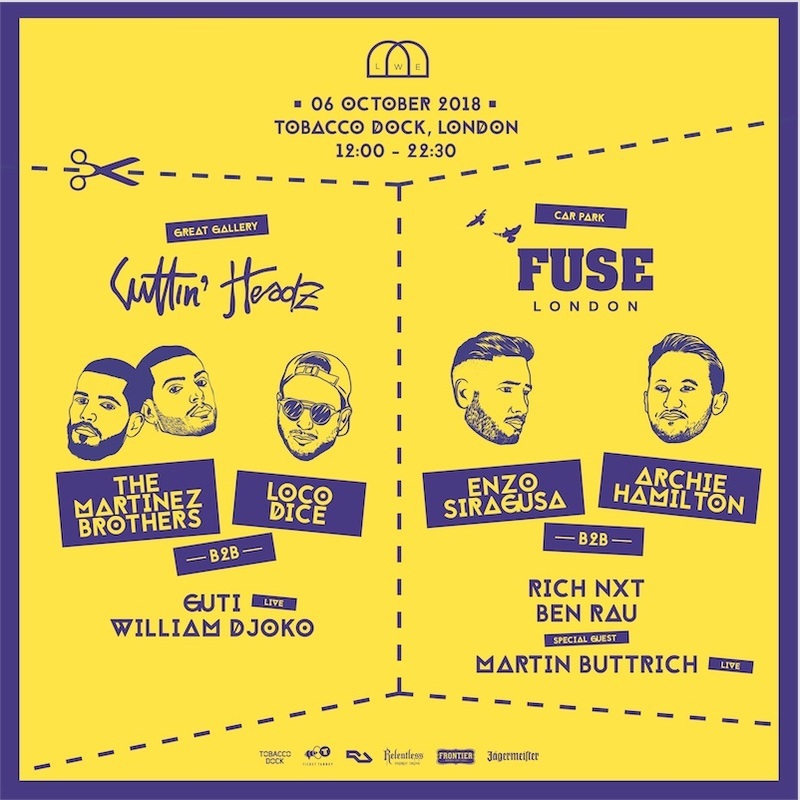 Enzo Siragusa and Archie Hamilton will go back-to-back with Rich Nxt and Ben Rau joining them plus a live set from special guest Martin Buttrich. Meanwhile, Guti and William Djoko will support headliners The Martinez Brothers and Loco Dice in the Great Gallery. The Cuttin Headz show follows their Wembley party at Old Fountain Studios earlier in the year organised by the same LWE team in charge at Tobacco Dock. For tickets and details go to lwe.tickettannoy.com.